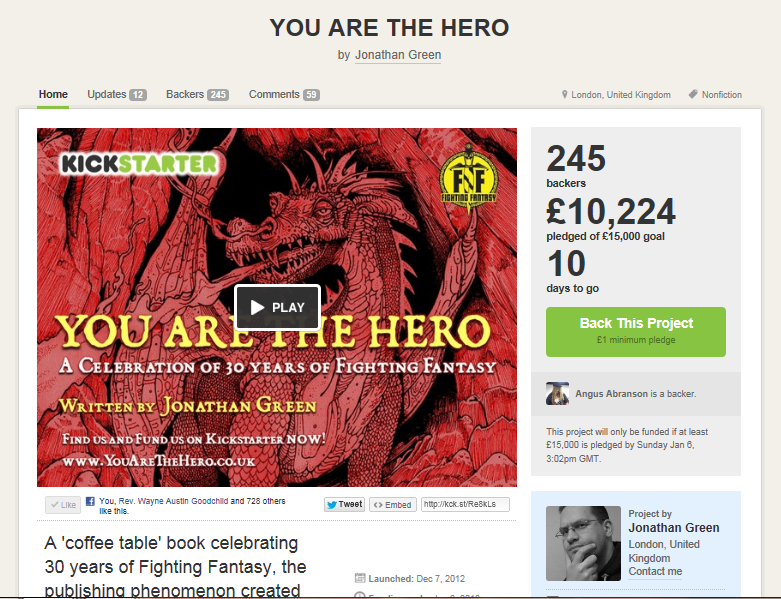 PAX BRITANNIA: YOU ARE THE HERO - A History of Fighting Fantasy Gamebooks - UPDATE! 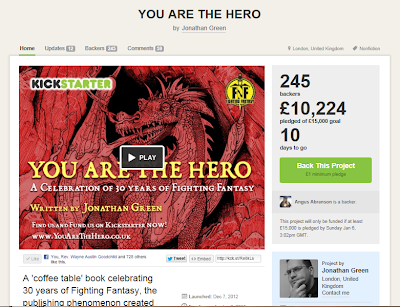 YOU ARE THE HERO - A History of Fighting Fantasy Gamebooks - UPDATE! 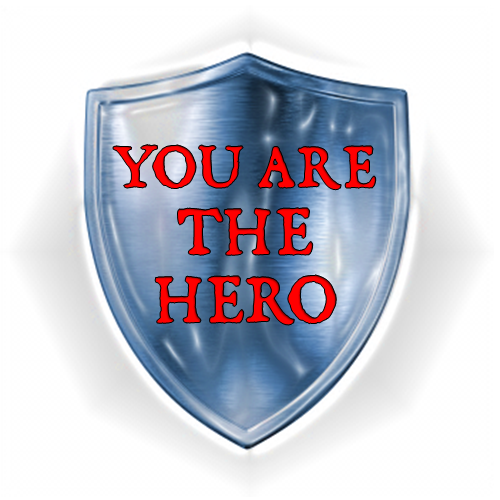 YOU ARE THE HERO is now past the two-thirds mark and with ten days left to run is heading towards fully funding on 6 January. Progress is going well, but we still need to raise on average £500 a day to make our £15,000 target. So if you've not backed the project yet, but you've been meaning to, click this link and pledge your support today. If you have already pledged, thank you - but please check that you've added the correct amount of postage. And then blog about it, post on Facebook and Tweet all your friends. 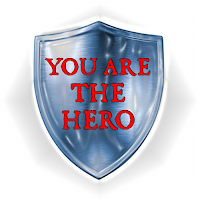 With YOUR support a copy of YOU ARE THE HERO could be in your hands by this time next year!